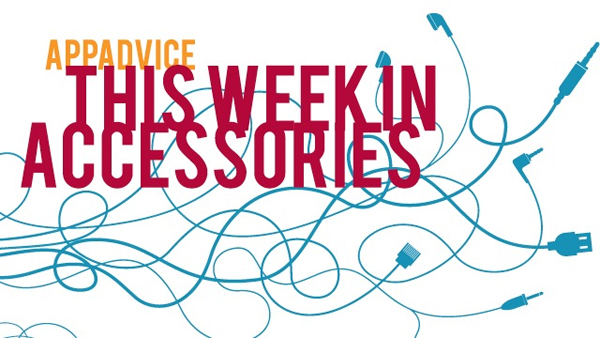 Happy Friday and welcome back to our weekly look at some of the newest iOS device accessories to hit the market. In this edition, we’re featuring two interesting iPhone 5s/5 cases and much more. 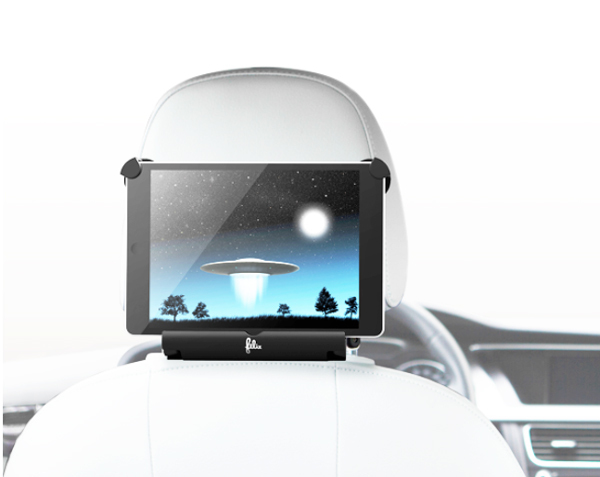 The RoadShow is a universal car stand that is designed to hold any tablet in either portrait or landscape orientation. Designed to fit most car headrests, users simply need to place the tablet into position and secure it by stretching the caps over their device. Available in black, the RoadShow retails for $39.99 and can be ordered from the company’s site now. 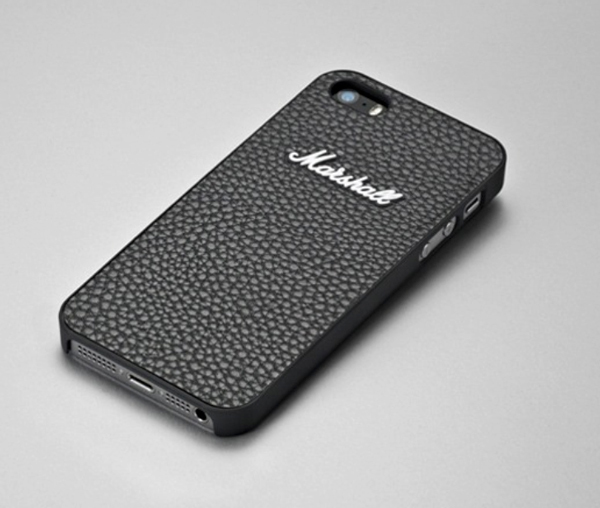 An inexpensive protection choice for the iPhone 5s/5, the new Marshall Headphones Case is designed to look like a legendary amplifier from the audio company. The black case is coated with soft vinyl and features the Marshall logo on the back. Retailing for $20, the case can be ordered from Marshall’s site now. Featuring Bluetooth 4.0, Kinivo’s second-generation BTC455 car kit can bring hands-free audio to cars without the technology built-in. 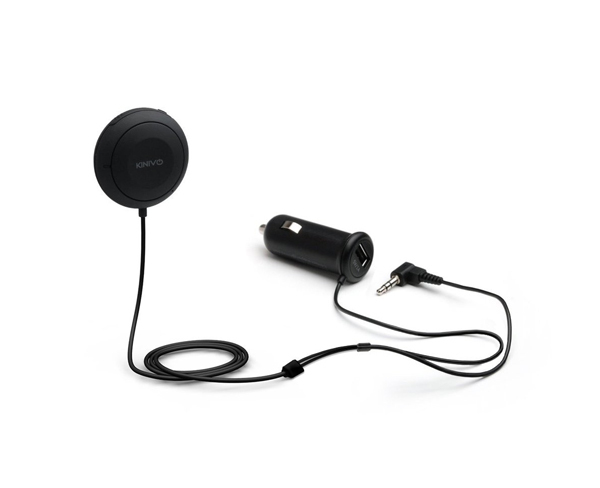 Plugging into an open AUX port in a vehicle, users can easily switch between listening to music and answering incoming calls thanks to the built-in microphone. Up to two devices can be paired with the car kit. The BTC455 can be ordered from Amazon.com now for $44.49. 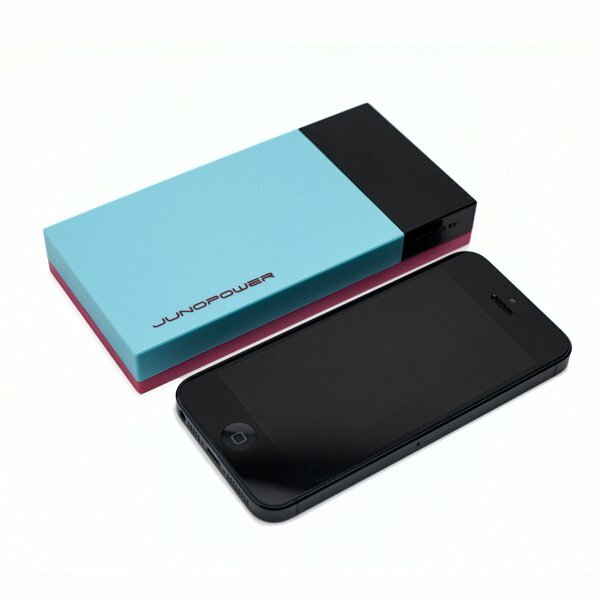 JunoPower has just unveiled a new line of portable battery packs with a number of bonus features. The KonnectPlug, which retails for $44.99, offers a 6,600 mAH battery and eliminates clutter with a built-in micro USB cable while offering two USB ports. Costing $49.99, the Konnect Two features a 9,000 mAH cell and a built-in flashlight. The pictured battery pack, Konnect Kolor, costs $79.99 and gives users 12,000 mAH of backup power. Along with two USB ports, Kolor boasts an LCD display that shows exactly how much battery life is left. All three battery packs can be ordered now from JunoPower’s site. Along with offering full protection for an iPhone 5s/5, this new option from Ztylus comes with an interchangeable lens system. Photographers can make use of a circular polarizer filter, a wide angle lens, super micro lens, or extreme fish eye lens for unique shots. 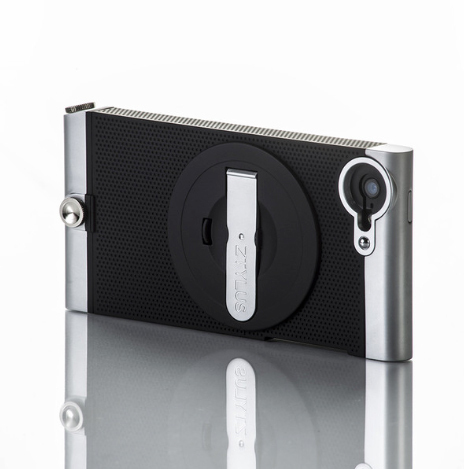 The case itself offers a two-position foldable aluminum kickstand. Buyers can select from a white or black version of the case. It retails for $99.95 and can be ordered from the Ztylus site. 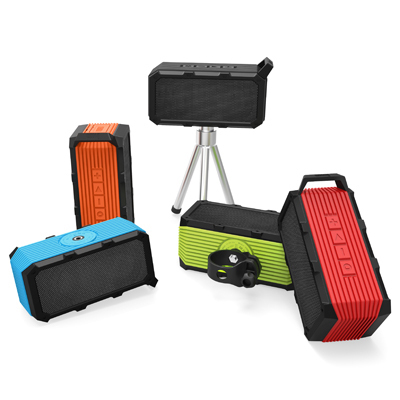 Designed to help bikers take their audio on the road, the Voombox-Ongo is a water-resistant Bluetooth 4.0 speaker that connects to a bicycle with an included mount. 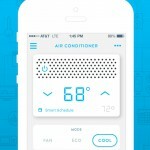 The built-in battery can provide up to eight hours of music before needing to be recharged. Two drivers and a passive radiator are touted to bring a clean, room-filling sound. Available in blue, green, red, orange, and black, the speaker is $69.90 and can be ordered from Amazon.com or Divoom’s site. Adidas Announces New Activity Tracker The FIT SMART, No 'iWatch' Competition Here Adidas throws its new fitness tracker in the ring. 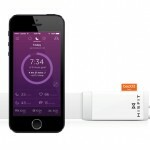 Misfit moves beyond fitness tracking with its new Beddit Sleep Monitor The device slips under your sheets and measures sleep cycles and quality.